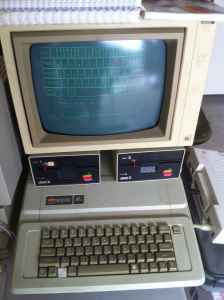 Seattle Retro Gamer: Apple museum starter on Craigslist. 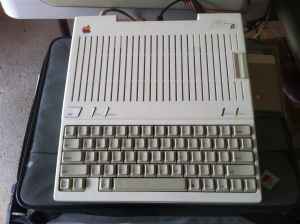 Apple museum starter on Craigslist. How did I miss this?!?! I probably would have grabbed this set. 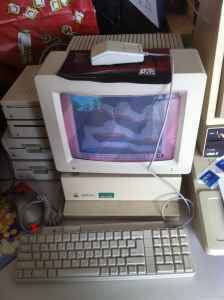 Needed a newer IIGS monitor, mine had scratches in the glass and was VERY yellow. However, I got a great deal on one last week on eBay. First time I have ever bought a CRT monitor on eBay. But got such a good deal, had to do it. It was a nice lot. Coming from a family that used Apple extensively for school, hence a lot of text editors and education programs. Hardware was great, I am still discovering the A II gs, this was my first.